Nowadays, the international community is well aware of the devastating consequences of the Islamic Revolutionary Guard Corps’ (IRGC) meddling in the Middle East, as well as its crimes, including providing financial support and weapons for acts of international terrorism. The war in Syria, Yemen, Iraq, supporting Lebanon’s Hezbollah and other terrorist groups in the world is only part of the IRGC’s malign activities. 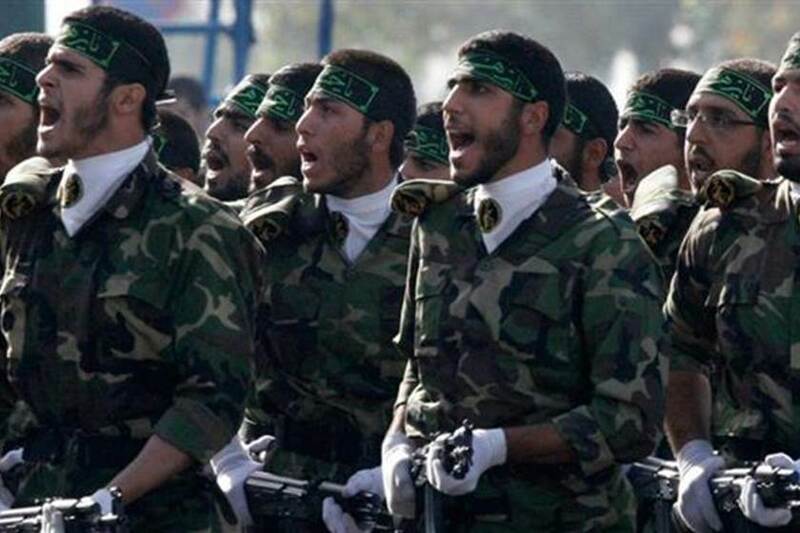 The IRGC trains and arms terrorist groups to foment proxy and civil wars in the region. The IRGC is the cruelest force of the Iranian regime; actually, it is the main means of preserving the totalitarian mullahs, via terror and crime. The IRGC is responsible for the repression of labor protests, popular uprisings, the arrest and torture of the political dissidents in its secret prisons, and the reconnaissance and assassination of political and cultural opponents inside and outside the country. Also, the IRGC is involved in illegal financial activities including smuggling weapons and narcotics. The IRGC commanders, along with other Iranian officials, form the upper echelons of the owners of Iran’s commercial institutes. The IRGC and its affiliated organs have such a political and financial influence that they implement the policies of the Iranian regime inside and abroad. By founding front companies, the IRGC, has a great percentage of Iran’s economy under its control. For example, its Khatam al-Anbia Headquarters, controls more than 2,500 companies, and 2,500 of the IRGC commanders are on their board of directors. The IRGC affiliated companies have unlimited privileges. According to Ali Khamenei’s decree, they are exempted from taxes and the government cannot exercise any control over their activities.The IRGC only answers to the Supreme Leader. Especial bank credits is allocated to them. In some urgent cases, the demanded funds are immediately credited to Khatam al-Anbia Headquarters’ bank account. The IRGC affiliated companies enjoy the opportunity to use IRGC’s field equipment and Heavy Machinery to carry out civil projects, for free. This will allow them to carry out the projects much cheaper than the market prices and to eliminate all the business competitors. In the fraudulent process of privatizing state-owned companies, the IRGC has appointed its own agents to the top of the hierarchy. Indeed, all the affairs of the Iranian regime, including the clandestine nuclear program and its missile manufacturing, are under the control of the IRGC. They control terrorist networks abroad, smuggling of drugs, and a major part of Iran’s economy, such as roads and building construction. Also, the energy and telecommunications sectors are under the IRGC’s monopoly. The IRGC is a multi-dimensional phenomenon; through its former and present members, it shares the political power, it is a parallel state, a parallel army, and an industrial empire. However, the IRGC crimes in Iran are beyond controlling the economy or controlling terrorism and repressiing the people. The IRGC has victimized the environment at its own benefit. Because of the deforestation, changing the rivers courses, confiscating fertile lands, selling fertile soils to foreign countries, and constructiing non-standard dams and structures, by the IRGC, Iran’s environment is at stake. The most recent sample of Iran’s environment victimization, resulted from the IRGC’s misdeed, is the recent flash floods, which could have been controlled by taking proper preventive measures. The floods swept out villages, bridges, historic sites, and farmlands. They left behind vast damages to the people’s lives and belongings. During the last four decades, the IRGC has built about 600 dams, most of them lacking acquired standards, often causing drying of the lakes and wetlands, thus leading to drought. Now, the same dams have been damaged or overflowed ruining people’s lives. The IRGC’s crimes against environmental degradation IRGC’s environmental destruction, provoked such popular wrath, that the Attorney General of the regime announced that disseminating flood news on social networks is illegal and the perpetrators would be prosecuted. The IRGC should have been listed as a terrorist organization many year ago but the appeasement policy prevented it. Though the western countries were well aware of IRGC’s destructive role in the international arena and its threat for global peace, yet they victimized Iran’s only democratic opposition (the MEK and the National Council of Resistance of Iran, NCRI) and designated it as terrorist. For years, the Iranian resistance has emphasized on the necessity of international confrontation with the IRGC, as the main means of the Iran regime’s repression and export of terrorism, designating it as a terrorist entity. In her message on January 11, 2019, Mrs. Maryam Rajavi, the President-elect of the National Council of Resistance of Iran (NCRI), called on the U.S. and the EU to designate the integrity of the IRGC and the Mullahs’ Ministry of Intelligence (MIOS) as terrorist organizations and to expel their agents from their soil. Mrs. Rajavi also called for recognition the Iranian people’s right to overthrow religious fascism, to achieve freedom. Therefore, the terrorist designation of the IRGC as a whole by the United States and Europe is a historical necessity. Should it was done before, a lot of blood would have been saved, there were no displacements and murders in Syria, Iraq, and Yemen at the capacity that we are witnessing, and even ISIS, as an offspring of the IRGC’s crimes in Iraq and Syria, would not have grown as such in its power and leeway. Enlisting the IRGC by the United States and all Western countries is a necessity for peace and stability in the region and the prevention of spreading terrorism and fundamentalism, which should be completed by listing the MIOS. But the final blow to this regime is the recognition of the right of the Iranian people and their legitimate resistance to regime change in order to free the world from the clutches of this terrorist and fundamentalist regime.